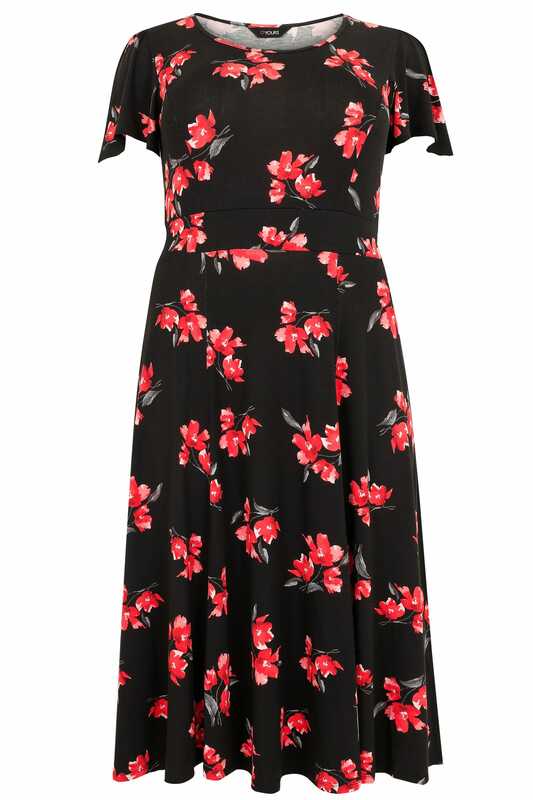 Add a pop of colour to your wardrobe with this midi dress. 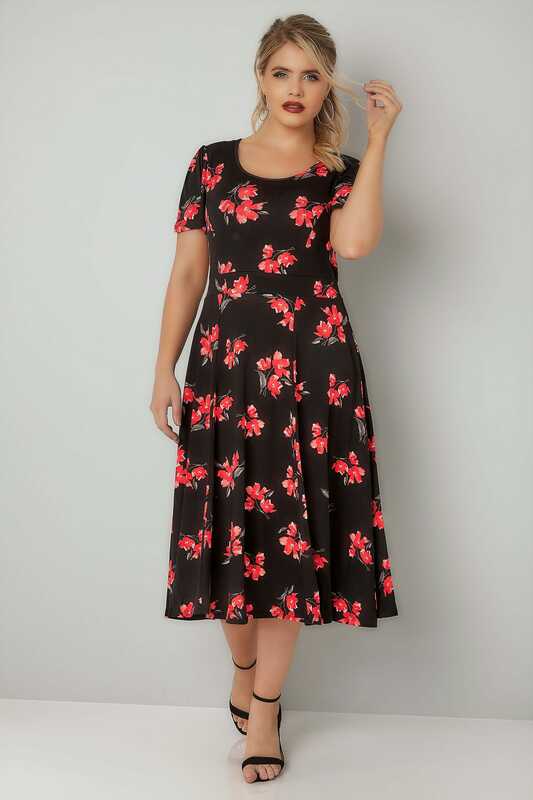 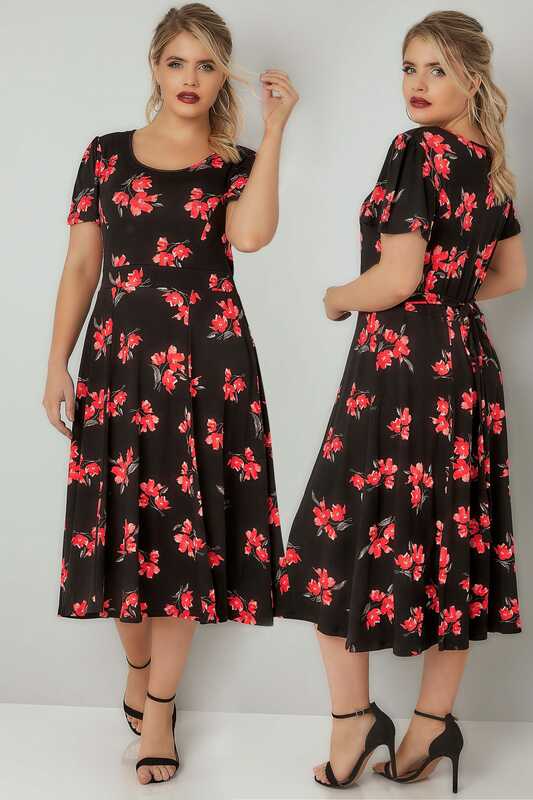 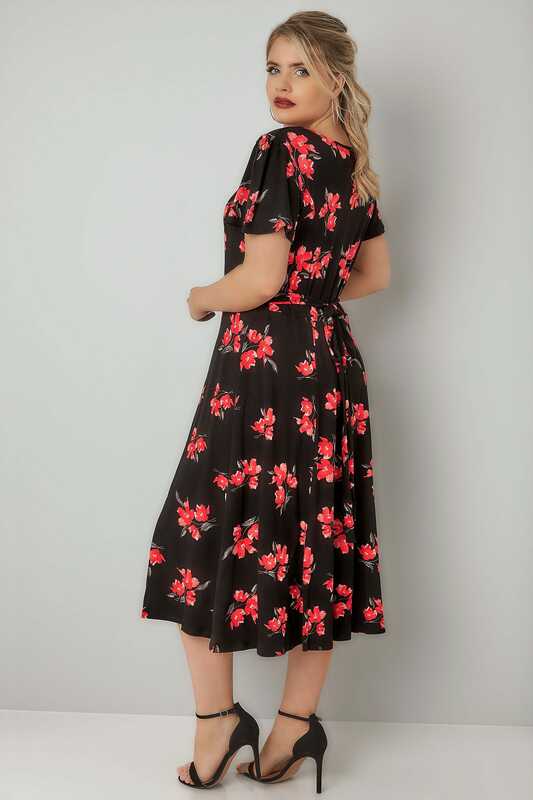 Made from a stretchy jersey fabric for comfort, it features a scooped neckline and a self tie fastening around the waist for a more cinched in silhouette. 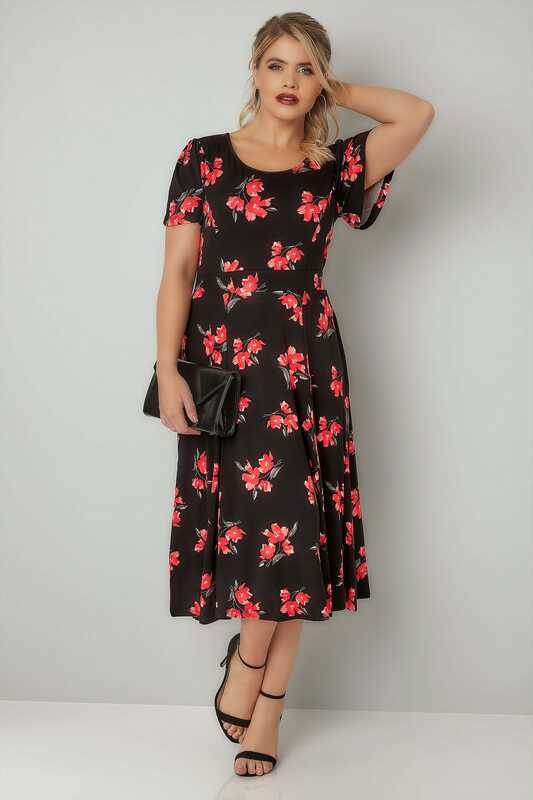 Team with your favourite shoes and a shrug to complete the look. 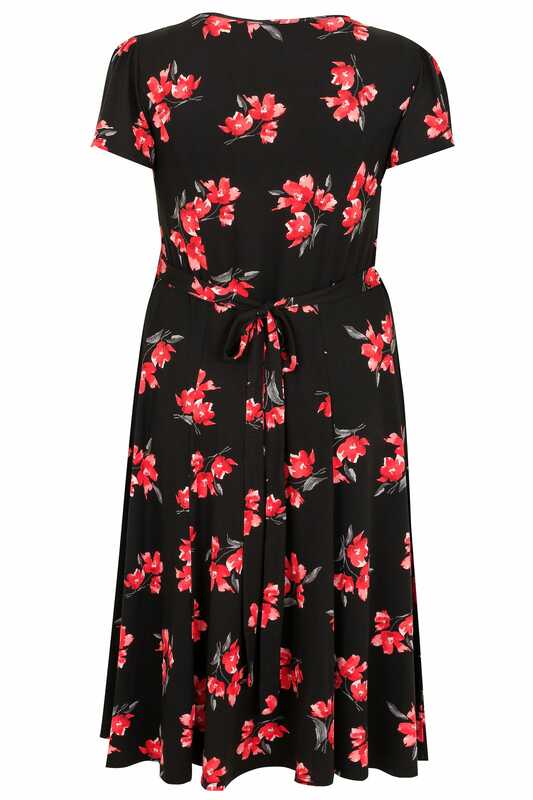 We love its on-trend bold floral print in red - perfect for the coming season.